Your USF Bulls Basketball teams are both in action on Sunday at the Yuengling Center and you won't want to miss a minute of the action! It's Family Day at both games and we will have a bounce house, face painter and sign-making station at Gate A! First up, USF Women's Basketball hosts Houston at 2 PM in their annual Play4Kay Breast Cancer Awareness Game! The first 500 fans will receive a FREE PINK RALLY TOWEL! Head to Gate A to participate in our silent auction, purchase one of the shooting shirts that the team will be wearing pre-game for only $15 and sign a special banner to leave a message for someone affected by breast cancer. Fans attending the women's game are invited to stick around for the men's game and fans attending the men's game are invited to come out early to attend the women's game. Tickets to the men's or women's game can be picked up at Guest Services, located by Gate A. Also, for this Sunday Chick-fil-A will have a special offer for all attendees. We hope to see you at both games on Sunday! Fans are encouraged to please ARRIVE EARLY due to increased traffic for both games. If you have any questions, please call 1-800-Go-Bulls to speak with a customer service representative or send an email to bullstickets@usf.edu. 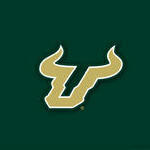 TAMPA, FEB. 9, 2019 – The USF men's basketball team puts its four-game winning streak on the line Sunday at 5:30 p.m. when the Bulls welcome ECU to the Yuengling Center for a matchup broadcast live on ESPN3. USF (16-6, 6-4) turned in its second straight road when Thursday at SMU with a thrilling 67-66 victory over the Mustangs. Sophomore David Collins (Youngstown, Ohio) scored 23 points and hit the game-winning three-pointer with 6.2 seconds left to give USF its first win in Dallas since 2009. Collins continues to serve as the offensive catalyst for the Bulls and leads the team and ranks 13th in The American with 15.0 points per game. Collins has also proven to be one of the top defenders in the league and ranks 19th in the NCAA with 2.3 steals per game. Redshirt junior Laquincy Rideau (West Palm Beach, Fla.) finished with 14 points, six rebounds and nine assists at SMU and stands second on the team with 14.0 points per game. Rideau also paces The American in both assists (5.9apg) and steals (3.1 spg) and ranks 26th in the nation in assists and third in steals. Redshirt freshman Alexis Yetna (Paris) missed Thursday's game at SMU with an injury, but still leads The American in rebounding (9.8 rpg) and double-doubles (10). Yetna also ranks third on USF with 13.0 points per game. Sophomore guard Justin Brown (Birmingham, Ala.) has made a team-high 40 three-pointers and ranks fifth in the conference with a .412 three-point field goal percentage. Yetna still a game time decision. Anyone know why ECU is warming up in “I love Judy Lund” tee shirts?